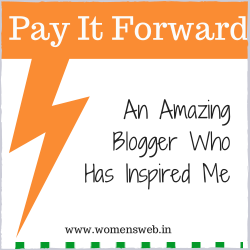 While chatting on the facebook with one of the friend, I came across the “Pay it Forward” Status Message by Aparna, Editor, Women Web. The statement she wrote hooked my attention. I clicked the link to read further. When on the link, the first thing that grabbed my attention was International Women’s Day Special. I thought to close the link as Women’s Day was long back in March. On the second thought, I decided to read further to know why the women day promotion they are doing today. As I kept reading the post, in back of the mind, I thought of so many problems today’s women face. Though we are living in the independent nation yet women are far away from receiving the real independence. Challenges that Indian Women face in the daily life are increasing day after day be it at work or at home. Pay It forward (started by Women’s Web) is the nice way to enlighten women and let them know that they matter. There are many women’s in my life that has brought the difference. Every bit they have done means a lot. They are the ones to make me grow. Today, I would like to thank each one of them from bottom of my heart for every lesson they have thought me and for everything they have done for me. Here is my way of paying it forward. First one is God (Mata Rani). 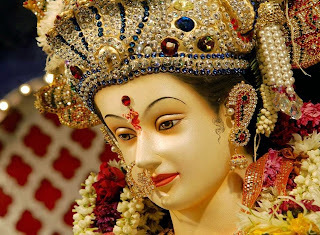 I have lot of faith in Mata Rani. 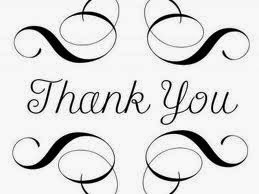 I would like to close my eyes and thank Her for all the blessings showered on me and my family. Thank you lord for all the difficulties and the strength you gave me to face those difficult situations. At the same time, there are few questions that people ask from God. I have tried to compile the small poem of these questions and at the end tried to answer those questions. Hope you will enjoy reading. Is it not possible to give what a person wants? Why can’t we be happy with what we have? It is we who make all the fuss. Next I would like to pay it forward to my Grand Mom whom I have not seen in my life. I really wish to see her once but I don’t know how she looks. I wish to talk to her but I don’t know how she speaks. I always hear from my parents that her love was so pure and true. Every mother loves her child. But the instances that I have heard of my grand mom really make me wonder sometimes. I would like to share one of the incidents to make you understand her unconditional love. Once, my mother forgot to have milk in the morning and left for the school. The moment my grand mom realized this, she took the glass of milk and went to the school. 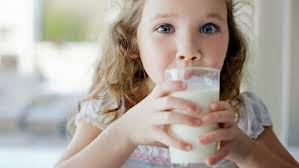 She searched for her in the playground and made her drink that glass of milk then and there. My mom says at that moment she felt so embarrassed because of her friends were around. They all started teasing her. But now, she misses all that love of her mother. I wonder sometimes how true her love would have been which did not allow the morning to go unless her daughter had the milk. I wish I could also see her love but I know it is not possible. Somewhere up I am sure she would be looking at us and blessing our family. I want to say on this day though I have neither seen you anytime nor heard your voice but I wish to see you once and wish to talk to you once. And see how would have you loved you grand-daughter if you would have been here for once. Next I would like to pay it forward to my Mom. Well my mom does not love me like her mother loved her. Just joking. She has given her everything to see me and my brother happy. She has spent her entire life, like every mother, to make us what we are today. There was no difference between girls and boys at my place. In fact my mother made it a point that my brother learns all the household work including cooking, washing dishes, clothes, etc. Though I am elder of two, she made him learn all the household work before she thought me. Reason, according to her, is simple. 1) To my teachers who have given me education. 2) To my cousin, Sneha, who share the unconditional love and is there whenever the need arises. 7) To my friend, Poonam, irrespective of how many times we talk in a year, but we know each other inside out. 13) To, Nidhi, who encouraged me to write. Initially, I used to write for her blog. But suddenly I have lost the contact with her. She is not replying on emails, her blog has been removed so is her facebook page. If she is reading this, get in touch. I really miss you. Well the list is endless, in short I would like to pay it forward to all the beautiful women who has been part of my life. Thank you all. Last but not the least, I would like to pay it forward to Aparna because of whom, today I thought of all the wonderful moments I have spent with all those wonderful ladies. I have done the third part of Pay it forward for women in this post and would do it again and again as and when opportunity comes by. With regard to first and second, I promise to start something soon.